A barometer of the fashion industry right now shows the outlook as unsettled at best and volatile and stormy at worst, but with a long-term forecast for brighter times. An area of high atmospheric pressure from consumers has swept in just as cataclysmic changes are taking hold in the digital space, and the combination means the world of high fashion is at a tipping point. Kanye West opened New York fashion week with a Madison Square Garden spectacle, launching his Yeezy Season 3 collection and releasing his latest album, to an audience of 18,000 editors, buyers, celebrity pals and paying members of the public. The result? An uncomfortable juxtaposition of the doyennes of high fashion, Anna Wintour and Carine Roitfeld, and the reigning royals of reality TV – West’s wife Kim Kardashian and her extended family – modelling a capsule collection styled by Balmain’s Olivier Rousteing. The extravaganza was reportedly watched by an audience of 20 million people, via live stream. And Diane von Furstenberg will ditch the traditional runway presentation in favour of a more personal “drop-in” experience at her Manhattan HQ. Guests will watch intimate vignettes acted out by social media modelling titans including Gigi Hadid and Karlie Kloss, while chatting with the designer over a cocktail. Navigating the fashionable way forward is complex. London fashion week begins on Thursday, with new initiatives aimed at engaging with the public. Footage of the shows will be screened at 60 outdoor locations around the UK, reaching an estimated audience of 35 million. The future of the fashion show is being redefined on the hoof, with more brands shifting their focus from private trade-only presentations to consumer-driven entertainment marketing events, inspired by the success of the annual Victoria’s Secret runway extravaganza and the successful formula of the in-store trunk show (where a designer puts on a special display of their work for a select group). 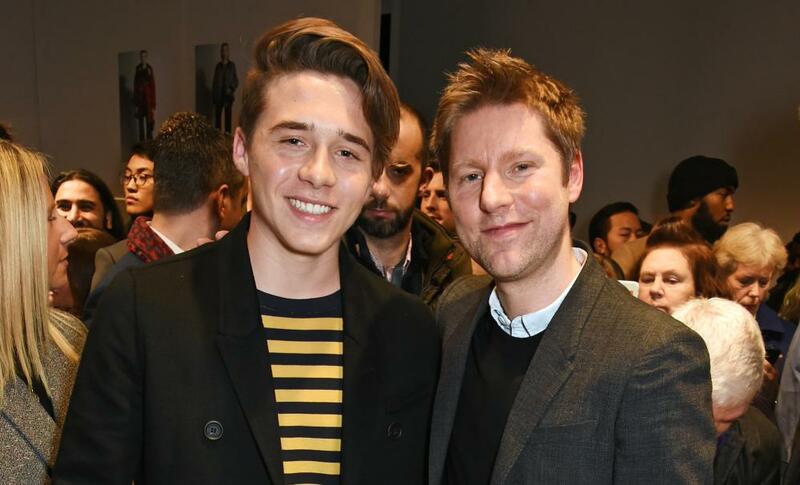 Earlier this month Christopher Bailey, the influential chief creative and chief executive officer of Burberry, announced plans to replace the brand’s four annual shows with two, from September. Blending mens- and womenswear, the British business will make the collections “seasonless” and available to purchase immediately. Fashion insiders have long been forecasting a seismic shift in the way clothes are marketed and sold, and Burberry’s announcement has opened the doors to others. After the Burberry’s announcement, Tommy Hilfiger said it would from September be synchronising its vamped-up runway presentations with retail deliveries. Tom Ford, the American designer and film director, said he would also be changing the way he sells his eponymous collections. With many high-street retailers offering fast-selling, fortnightly “drops” of new styles, teased with carefully targeted social media and digital mail shots, the idea of a designer behemoth that fails to make its product available at the moment of maximum hype seems an anachronism. Many luxury brands know about the power of social media – Chanel has 9.6 million Instagram followers, and Burberry recently gatecrashed Brooklyn Beckham’s 5.9 million followers by controversially commissioning the 16-year-old to photograph its latest campaign – but have no understanding of the pace of modern consumer culture. Ken Downing, fashion director of the upmarket US department store Neiman Marcus, recently reported showing a client an $11,000 embellished jacket that had arrived in store the previous day, only for her to respond “but don’t you have anything new?”. The style had been visible online since October, and the customer already had fashion fatigue. A few designers have been experimenting with the see-now-buy-now model, including New York designers Thakoon and Rebecca Minkoff, Italian label Moschino and British brands Alice Temperley and Matthew Williamson, but the designer industry has largely been slow to keep up with changes in consumer behaviour. Henry Holland, the designer behind Britain’s House of Holland, says there is a tangible spike in online sales when an edit of his collection is made instantly available, but the lesson has not been absorbed by his contemporaries. But others are sceptical about consumer-focused catwalks. Brands take the temperature of a collection when they show it to the seasoned eyes of the fashion press and store buyers, and use this to guide order numbers for production. “As things stand, we need the lead time to make the garments in time for market,” said a spokesperson for Belgian designer Dries van Noten. Fashion veteran Paul Smith is restructuring his business after four decades, describing an industry that has “gone mad” with a “horrendous disease of greed and overexpansion and unnecessary massive oversupply”.